I passed my driving test first time and would say that Rachel made the lessons seem easy. I really enjoyed the relaxed atmosphere. The LDC student hub and workbook helped as they were always to hand for reference. 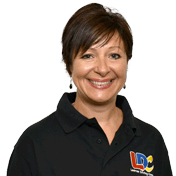 I would recommend Rachel and LDC because the lessons are enjoyable, relaxed and you have easy access to resources which help with your driving.